As part of the work I’m doing with London CLC, their Director, Sarah Horrocks, asked me to write something on what it means to be a digitally literate school leader. I’d like to thank her for agreeing to me writing this for public consumption. Before I start, I think it’s important to say why I might be in a good position to be able to answer this question. First off, I’m a former teacher and senior leader. I used to be Director of E-Learning of a large (3,000 student), all-age, multi-site Academy. I worked for Jisc on their digital literacies programme, writing my thesis on the same topic. I’ve written a book entitled The Essential Elements of Digital Literacies. I also worked for the Mozilla Foundation on their Web Literacy Map, taking it from preliminary work through to version 1.5. I now consult with clients around identifying, developing, and credentialing digital skills. That being said, it’s now been a little over six years since I last worked in a school, and literacy practices change quickly. So I’d appreciate comments and pushback on what follows. Let me begin by saying that, as Allan Martin (2006) pointed out, “Digital literacy is a condition, not a threshold.” That’s why, as I pointed out in my 2012 TEDx talk, we shouldn’t talk about ‘digital literacy’ as a binary. People are not either digitally literate or digitally illiterate - instead literacy practices in a given domain exist on a spectrum. In the context of a school and other educational institutions, we should be aware that that there are several cultures at play. As a result, there are multiple, overlapping literacy practices. For this reason we should talk of digital literacies in their plurality. As I found in the years spent researching my thesis, there is no one, single, definition of digital literacy that is adequate in capturing the complexity of human experience when using digital devices. In addition, I think that it’s important to note that digital literacies are highly context dependent. This is perhaps most evident when addressing the dangerous myth of the ‘digital native’. We see young people confidently using smartphones, tablets, and other devices and therefore we assume that their skillsets in one domain are matched by the requisite mindsets from another. So to recap so far, I think it’s important to note that digital literacies are plural and context-dependent. Although it’s tempting to attempt to do so, it’s impossible to impose a one-size-fits-all digital literacy programme on students, teachers, or leaders and meet with success. Instead, and this is the third ‘pillar’ one which my approach rests, I’d suggest that definitions of digital literacies need to be co-created. In order not to make this post any longer than it needs to be, I’ll encourage you to look at my book and thesis for more details on this. Suffice to say, it’s important both to collaboratively define the above eight terms and define then what you mean by ‘digital literacies’ in a particular context. All of this means that the job of the school leader is not to reach a predetermined threshold laid down by a governing body or professional body. Instead, the role of the school leader is to be always learning, questioning their practice, and encouraging colleagues and students in all eight of the ‘essential elements’ listed above. As with any area of interest and focus, school leaders should model the kinds of knowledge, skills, and behaviours they want to see develop in those around them. Just as we help people learn that being punctual is important by always turning up on time ourselves, so the importance of developing digital literacies can be demonstrated by sharing learning experiences and revelations. Seek out new people: it’s easy for us to become trapped in what are known as filter bubbles, either through the choices we make as a result of confirmation bias, or algorithmically-curated newsfeeds. Why not find people and organisations who you wouldn’t usually follow, and add them to your daily reading habits? Share what you learn: why not create a regular way to update those in your school community about issues relating to the considered use of technology? This could be a discussion forum, a newsletter pointing to the work of people like the Electronic Frontier Foundation or Common Sense Media, or ‘clubs’ that help staff and students get to grips with new technologies. Find other ways: the danger of ‘best practices’ or established workflows is that they can make you blind to new, better ways of doing things. As Clay Shirky notes in this interview it can be liberating to jettison existing working practices in favour of new ones. What other ways can you find to write documents, collaborate with others, be creative, and/or keep people informed? Comments? Questions? I’m @dajbelshaw or you can get in touch with me at: hello@dynamicskillset.com. I consult around identifying, developing, and credentialing digital skills. 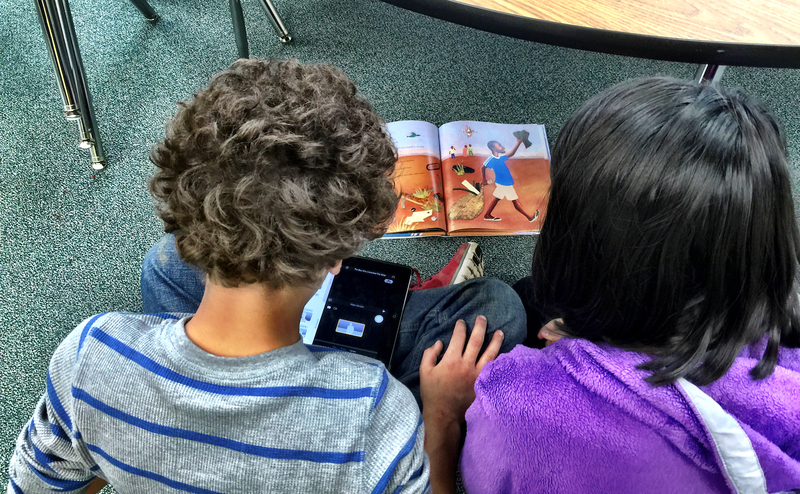 Can digital literacy be deconstructed into learnable units?